Please see map and details below. 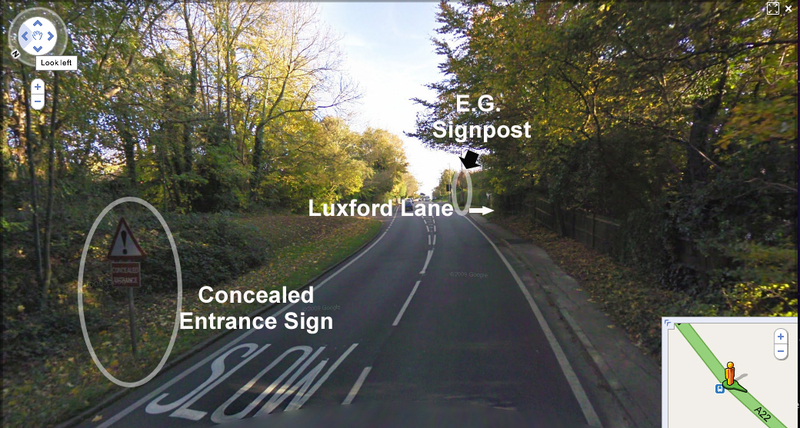 By cab, Luxford’s Lane is 5 minutes south east of East Grinstead Train Station. It is a tiny lane, just off the A22 on the very edge of East Grinstead, and before Ashurst Wood and Forest Row. Luxford’s Farmhouse is the second driveway on the right, just 200 yards down Luxford’s Lane. The following Google Map is very versatile. You can zoom in and out with the “+” and “-” buttons, get directions and get a 3D fly by experience by clicking “Earth”. If you get confused, just click here to reload the page. From London direction, bypass or travel through East Grinstead in a Southerly direction towards Forest Row and Eastbourne. Pass Sackville School on your left, then pass a large building on the corner of Woodbury Road. Reach a right bend in the A22 with a high bank on the left. 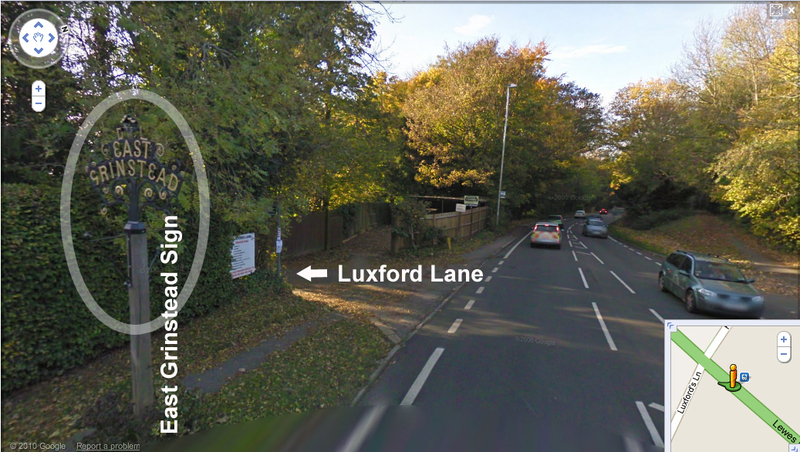 Luxford’s Lane is on the right as you exit this high banked short stretch of road. Approaching from the South, pass through Forest Row Village on the A22, and continue up the ‘S bends’. The Road then levels out for a long straight up a slow incline. At the end of this straight there is a flashing “30mph” sign. Luxford’s Lane is immediately after this sign on the left, opposite Truscotts Manor. (The ‘East Grinstead’ sign has now been moved). Luxford’s Farmhouse is the second drive on the right. About 200 meters down the lane.